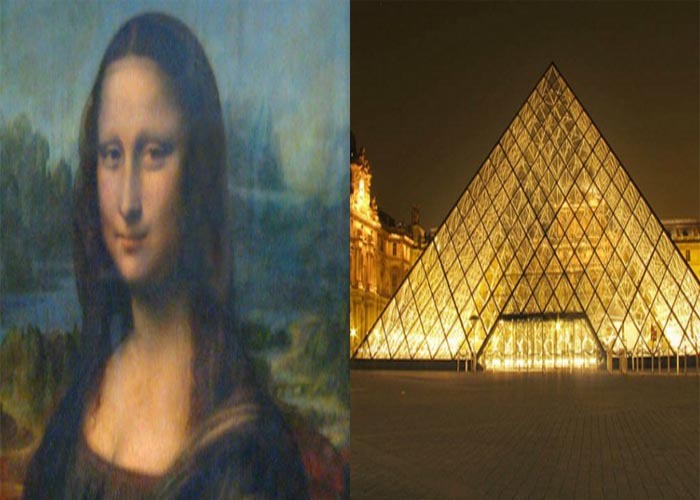 If you've read Dan Brown's The Da Vinci Code, you'll be familiar with the golden ratio - the idea that there's one ratio that's reflected throughout the Universe's most aesthetically pleasing objects, from the Greek Parthenon and the Pyramids of Egypt, to the growth pattern of plants and the Mona Lisa's smile. This ratio, which was first described by mathematician Euclid in the third century BC, can be calculated by dividing a line into a longer and shorter section. When the ratio between the whole line and the longest section is the same as the ratio between the longest and shortest section, the line is in the 'golden ratio'. Numerically, it's around 1.618:1, often referred to by the Greek letter φ (phi). When it comes to beauty, the assumption is that the most attractive face has a length that's 1.618 times greater than its width. But mathematicians have now fired back and called the idea that the golden ratio is some kind of 'natural blueprint' for beauty "hocus-pocus" and a "myth that refuses to go away", as Ian Johnston reports for The Independent. The comments came after The Smithsonian hosted a stall promoting the golden ratio's beauty claims at the National Math Festival in Washington DC in the US earlier this month. "The idea that there’s this one rectangle [based on the golden ratio] that’s this perfect one... and is reflected in the human body, that’s one of the most silly things. Human beings are so different," Eve Torrence, a professor of mathematics at Randolph-Macon College in the US, told The Independent. "There’s not this number that’s got this perfection in the way people think it does. It feels dirty to mathematicians. It’s hocus-pocus." However, that's not to say that the golden ratio itself isn't important. The ratio does lend itself to producing well-balanced structures, and has been used by artists and architects throughout the centuries. It's also seen in the spiral growth patterns of ferns and certain seashells. But that doesn't mean it's more attractive than any other proportions, Keith Devlin, a Stanford University mathematician, told Johnston. He cites evidence that shows people tend to favour ratios that they've become accustomed to, like those that reflect an A4 piece of paper or computer screen. "He also said the popular idea that the navel divides the human body in accordance with the golden ratio is false. The figures are close, but there is considerable variation. Theories that the Parthenon in Athens and Great Pyramid in Egypt were built according to the golden ratio have also been disproved, he said. 'The golden ratio stuff is in the realm of religious belief. People will argue it is true because they believe it, but it’s just not fact.'" And when it comes to what humans find attractive, biologists have found there's a whole lot more at play than just geometry, with hormones, cultural upbringing andfacial hair all playing an important role in who we find beautiful. So that's one more myth put to bed by science. But Johnston also asked a plastic surgeon who has patented surgery grids derived from the golden ratio about the mathematicians arguments, and his response was too good not to share: “I would say they haven’t done their homework... Mathematicians have their heads up their asses about half the time." Never let research get in the way of a good patent, right?